Ashley's Antics: What a Month! This month has been crazy busy! Between 9 days on a cruise ship and 5 days away for Thanksgiving I blinked and fall was over and it was time for the Holidays. This Thanksgiving, my family rented a huge house on Fenwick Island (between Bethany Beach and Ocean City). 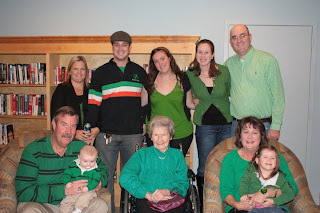 We were joined by my siblings, aunt, uncle, cousins and my grandfather. I was able to get there on Tuesday and we spent the week sipping wine, playing rummy and taboo and walking on the beach. We fit in a little shopping at the outlets, but mostly we just vegged out. Here's a picture of me and my cousin Ciena. 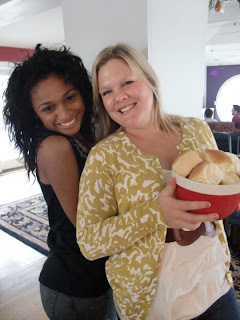 Apparently we were LOVING the thanksgiving dinner rolls. Ha. Here's a picture of my siblings, cousins and myself. Obviously, the white ones share a momma and a papa with me. 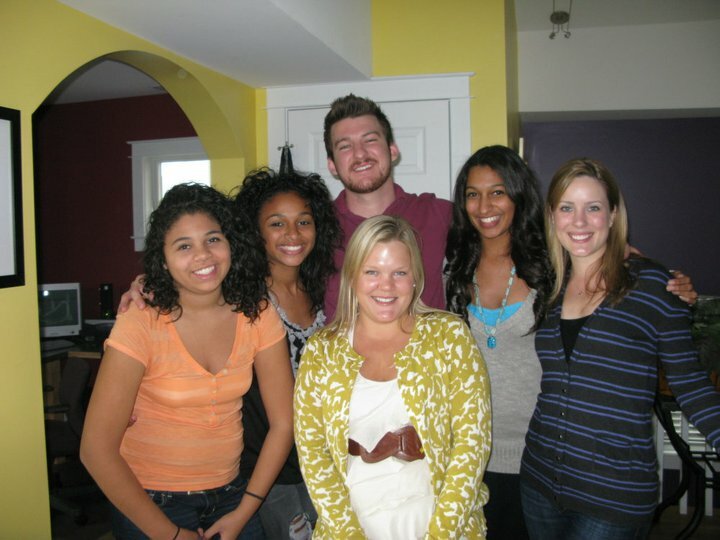 The other three are my cousins. 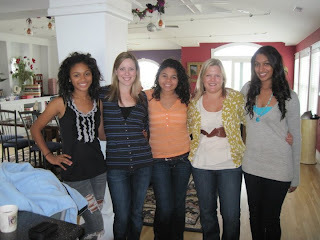 Here's another one of all the girls on Thanksgiving day. We tried to get my mom and my aunt to join, but they weren't having it. We left the beach on Saturday to make it back in time for John's grandma's 100th birthday party. Can you believe it? How many 100th birthday parties can most people say that they've been in attendance to? The three children in the middle are the grandchildren and of course John's parents and grandmother are sitting in the front. 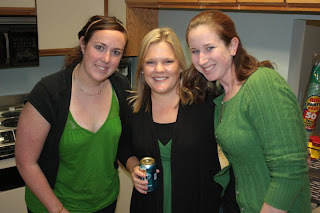 Here's me and my husband's sisters. 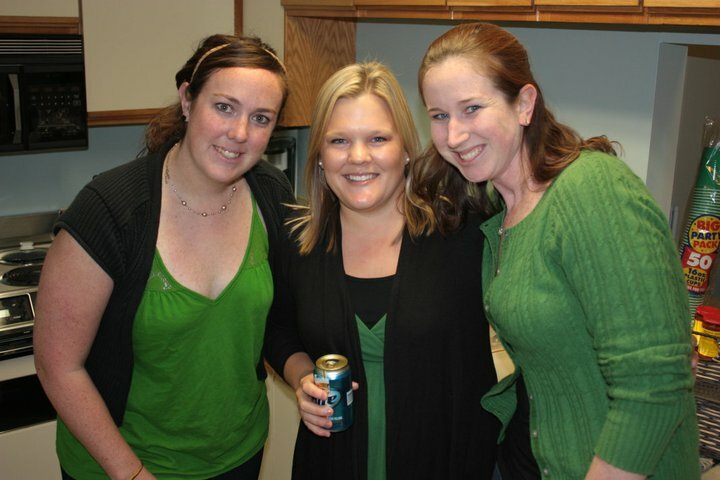 Obviously, the theme of the night was green for everyone and holding a beer for me. So classy. I've had a blast this month and I'm totally not looking forward to going back to work. We spent Sunday afternoon cooking in the crock pot and watching football. I didn't even get dressed today. I'm going to miss this come Monday. I hope your thanksgiving was blissful as well! Sounds like you had one busy, but fun month! Enjoy going back to work.